Who is Salim Jah Peter? 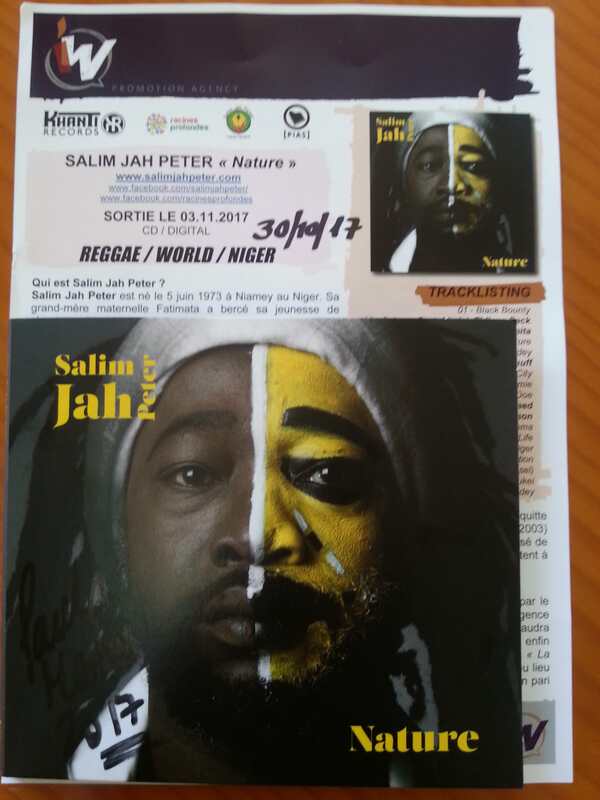 Salim Jah Peter was born on June 5, 1973 in Niamey, Niger. Her maternal grandmother Fatimata rocked her youth with traditional songs. It was his godfather, Lenny Garden, an African-American half-breed based in Niamey who revealed his artistic gifts. In 1989 in Niamey, Salim Jah Peter formed the New Generation dance group and decided to devote himself to music. He met Féla Kuti in Nigeria in 1990 and began a journey through West Africa that led him to settle in Côte d'Ivoire. From 1994 to 1998, Salim Jah Peter sang with the group afro-reggae Mystic Vibration. He meets on the road Alpha Blondy, Tiken Jah Fakoly, Rita Marley, Ky-Mani Marley, Ijahman Levy, Lucky Dube, Sista Carol, Michael Rose, everyone will give him his advice. The African reggaeman author, singer, songwriter creates a new style, the Hayé Hayé Groove , a blend of traditional Nigerian music, blues and Afrobeat. In 1998, Salim Jah Peter created the Mystic Ténéré group in Abidjan (Ivory Coast) with which he toured several African countries. In 2002 'the wizard of Ténéré' leaves Ivory Coast at war and returns to Niger to release his first single The message of Jah(2003) which will find a good echo across the continent. Residing in Paris since 2004, Salim Jah has not stopped us traveling in an Africa where the jinns of the desert of Ténéré and the Niger river whisper in the ear of the foreigner. 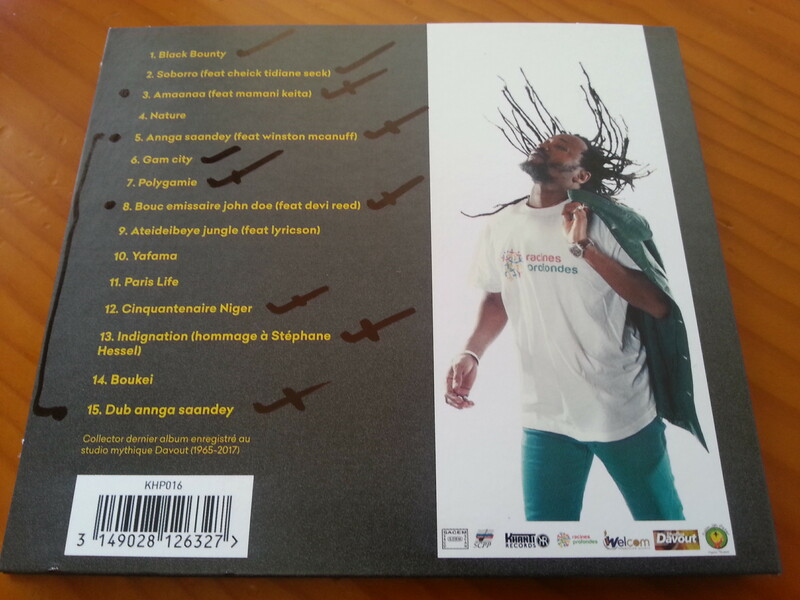 artist, has released his album "Les Vautours" exclusively in Niger (2007), followed by the single La paix au Niger (2008). In 2009, always reacting to the political news is urgently released his second album "Hold-up of power" , which will be censored in Niger upon its release. It will be necessary to wait for the coup d'état of February 18, 2010 so that the artist, after 3 years of prohibition can finally return to his native country. His heartfelt cry for peace led him to set up the project "The caravan for peace, democracy and national reconciliation": a huge tour that took place in 2010 throughout Niger. Carried by his message of love and conviction, the artist succeeds in his bet of reconciling the Nigeriens. In his hoarse and recognizable voice, Salim Jah Peter denounces the plagues of humanity, militates for the freedom of men to think, create and dispose of themselves. He sings the hopes and questions of those who do not speak. 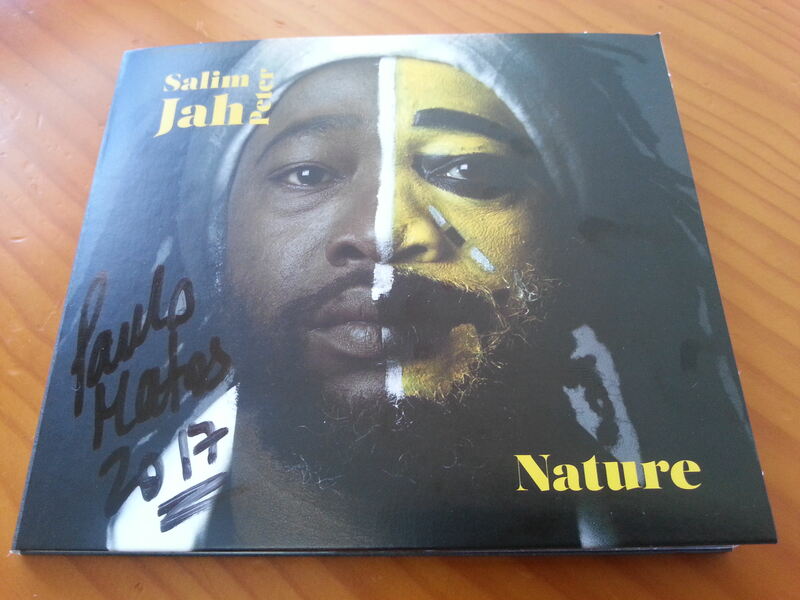 To be better heard, Salim Jah Peter has invited on this album various artists: Cheick TIdiane Seck , Mamani Keita , Winston McAnuff , Devi Reed and Lyricson . 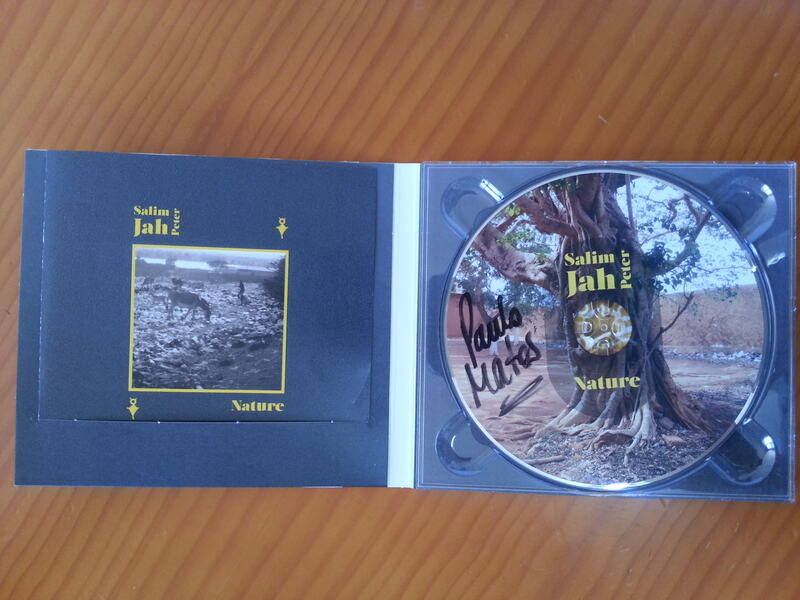 "Nature" is the last album to have been recorded atStudio Davout (Paris) . Through his new fight for the protection of the environment for a healthy planet, Salim Jah Peter denounces the degradation of nature and calls on homo sapiens to protect it: "We must all fight against the pollution we are responsible for ". An album soberly baptized "Nature" which could have been called "Roots for the future" . Nature, our root to all, Salim Jah has made a song, since become the anthem of the association Deep Roots which he is the ambassador and with whom he collaborates closely. " Nature "is a coproduction between the association Deep Roots and the artist. This album accompanies the project "Nature Eco 2017" of the Association Racines Profondes. Respect and shared values ​​have brought the committed artist and the association together, a story where every gesture counts. SALIM JAH PETER AND DEEP ROOTS - "Nature Eco" Project The "Nature Eco"
tour will visit twelve African countries and was inaugurated on June 8 in Cotonou, Benin. The association translates into action the message of Salim Jah Peter . The artist thanks to his music gathers around the project and together they have for example gathered hundreds of people to help clean the artisanal fishing port of Cotonou. Students, unions, local NGOs, military and civilian population actively participated in this day. Invaded by plastic bags, the continents pollute the oceans. Deep Roots and Salim Jah Peter want to inform the youth about the dangers of this pollution. On the occasion of a football match,Salim Jah has distributed cloth bags with the logo of the association to promote recycling that can create a green and autonomous economy. This day of June 8 ended with a free concert by Salim Jah Peter instead of the red star where the population was able to get drunk ecological messages as well as live music. "Together between Africa and other continents we can find solutions, improve our lives and help to leave our children a world where they can flourish," attests Agathe Chikitou , president of the association.